PRESIDENT Emmerson Mnangagwa last night joined the rest of the world in mourning the late music legend Oliver Mtukudzi who succumbed to diabetes at Avenues Clinic in Harare yesterday. President Mnangagwa described Tuku as a true patriot who will remain in the midst of people through his music. “Today we said goodbye to a true patriot. Oliver Mtukudzi, your voice has given us comfort during difficult times, and will remain with us for posterity. 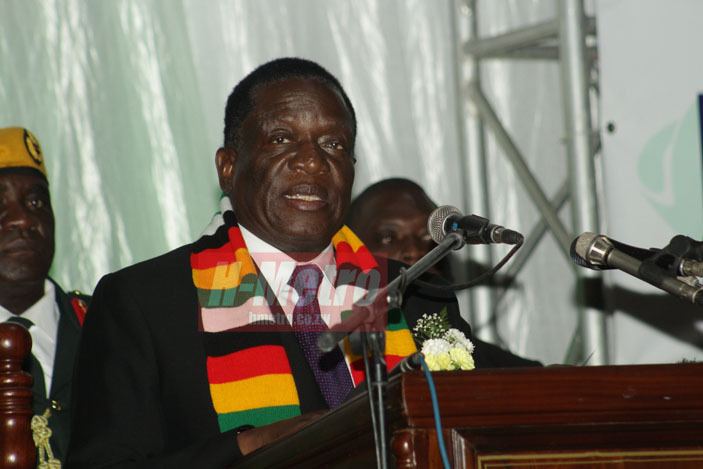 Rest in peace comrade,” said President Mnangagwa in a statement. The government also conveyed its condolence message to the Mtukudzi family saying the local music scene is now poorer without Tuku. “Gvt conveys its heartfelt condolences to the Mtukudzi Family on the sad passing on of Oliver “Tuku” Mtukudzi today (yesterday) at Avenues Clinic. Zimbabwe music is poorer without our music legend. MHDSRIEP,” reads the statement from the Ministry of Information, Publicity and Broadcasting Services. Arts Minister Kirsty Coventry, in a tweet, pointed out that Tuku’s legacy will live on. “You may have gone but your light will shine forever. Goodbye my friend. #RIPOliverMtukudzi,” tweeted Minister Coventry. A number of politicians also sent their condolence messages, with Norton legislator Temba Mliswa advocating for the music legend to be given a national hero status. “I have it on good authority that Dr. Oliver “Tuku” Mtukudzi is no more. We’ve lost an icon & my heartfelt condolences to Daisy & family. I’m writing to the President to apply for National Hero status for his national contribution to the music, arts & culture industry. MHDRIEP,” tweeted Mliswa. Outspoken politician Linda Masarira also share the same thoughts with Mliswa. “It is only proper to confer our legend Oliver Mtukudzi with National Hero Status for his national contribution in the music & arts industry He represented the nation well Internationally & always raised the Zimbabwe brand high with his legendary music,” she said. Deputy Minister of Industry and Commerce Raj Modi share the same view. “There are a people that contribute much to a country in time of peace that they deserve to be recognised as national heroes. Oliver Mtukudzi is one of them. #RIPTuku,” said Hon Modi. Deputy Minister of Transport and Infrastructure Development Fortune Chasi described the internationally acclaimed late singer as a ‘true hero’. “RIP Mdara Tuku. Didn’t realise our conversation yesterday was the last! A true hero!” said Hon Chasi.